LA graffiti artist #Skidrobot has been painting his new artwork all over Los Angeles and NYC. 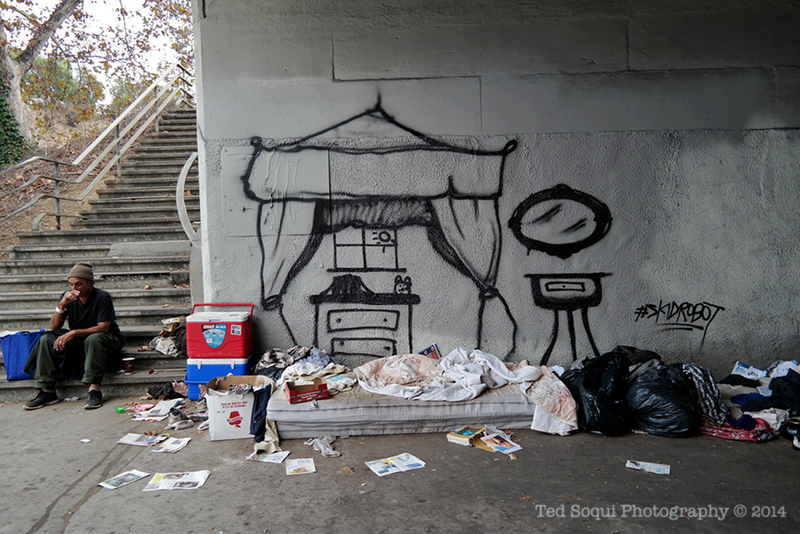 The controversial work has definitely called new attention to homelessness in America. You can probably follow him on social media or something like that, but I recommend seeing his work in person.